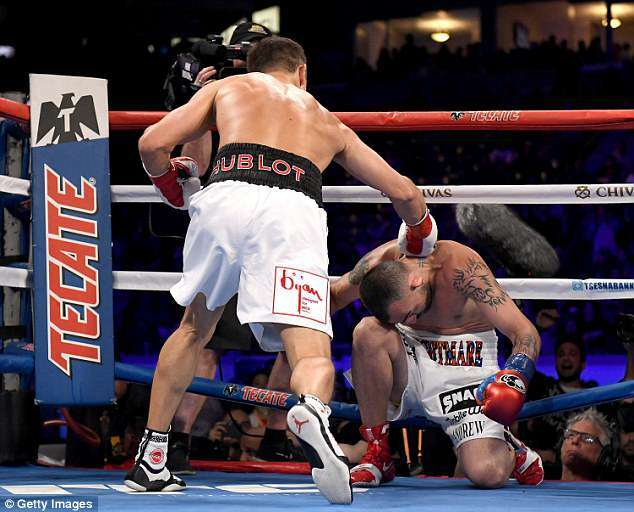 Gennady Golovkin won his 20th consecutive middleweight title defence with a second-round knockout of Vanes Martirosyan on Saturday night. 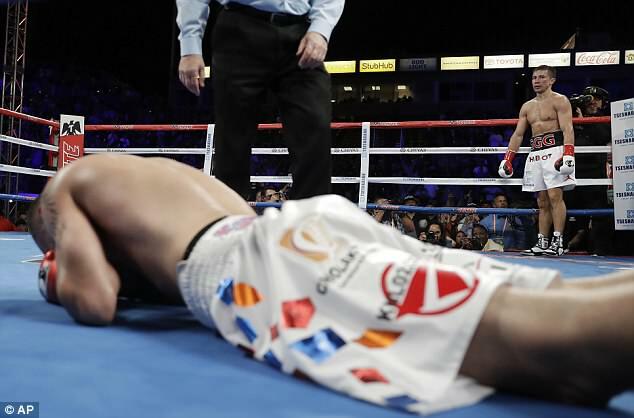 Golovkin (38-0-1, 34 KOs) tied Bernard Hopkins’ record for middleweight title defenses by sending Martirosyan down at 1:53 of the second round. 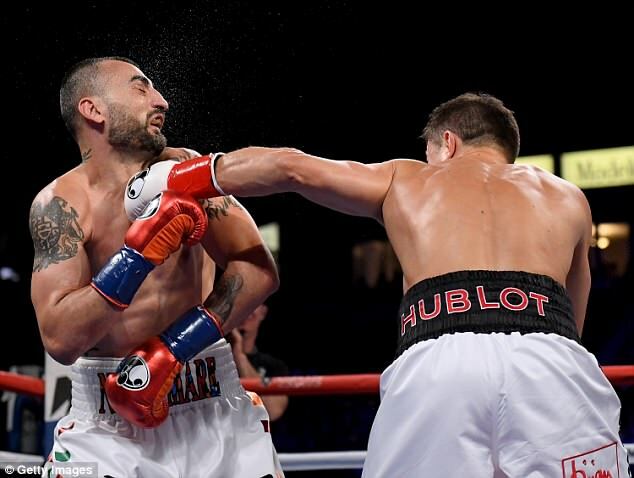 After being tagged with a strong three-punch combination from Martirosyan (36-4-1) late in the first round, Golovkin responded with a devastating charge in the second. 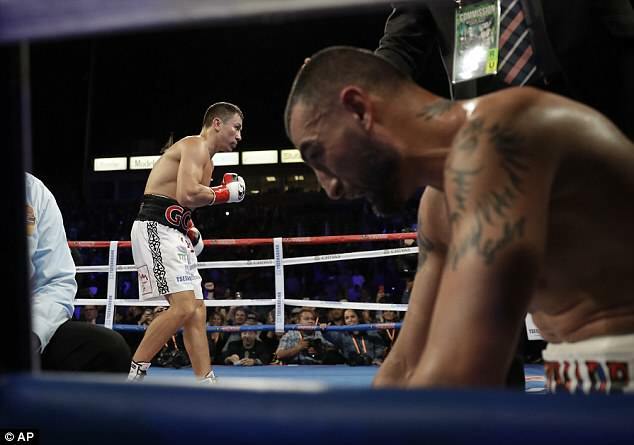 He started the onslaught with a short left and pounced on the damaged Martirosyan, finally dropping him with two powerful lefts. The fight was arranged at the last minute after Golovkin’s rematch with Canelo Alavarez fell apart. Golovkin and Alvarez fought to a draw last September and were set to meet again in Las Vegas on Cinco de Mayo before Alvarez was suspended for six months by the Nevada Athletic Commission in April after failing a March drug test. 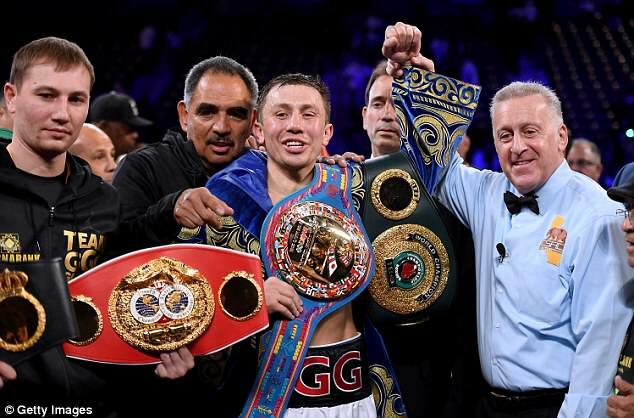 With the lucrative fight against Alvarez scuttled until this fall at the earliest, Golovkin was eventually able to put together a replacement bout in Southern California, where he built up a strong following with a series of title defenses at StubHub Center and the Forum. Despite short notice and a modest card, promotors expected Golovkin to draw a record-crowd for boxing at StubHub Center of more than 9,000. Golovkin said he would take on all comers, including Alvarez. In the first women’s fight on HBO in the cable network’s 45-year history of broadcasting boxing, undisputed welterweight champion Cecilia Braekhus (33-0) remained undefeated with a unanimous decision win over Kali Reis (13-7-1). Braekhus won 97-92, 96-93 and 96-93 on the three scorecards despite being knocked down to one knee by a hard right from Reis in the seventh round. Reis nearly dropped Braekhus again in the eighth with another hard right, and the crowd booed when the result was announced after Reis’ late charge. UFC featherweight champion Cris Cyborg attended the fight and confirmed her interest in boxing against Braekhus.